Data Entry, Typing, Copy typing, other typing based services for with copy paste and Capture related work For $5. 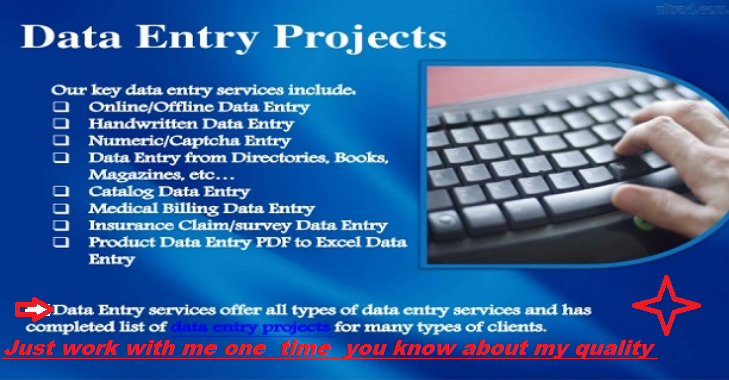 I will complete your Data Entry work By following your instruction . *Copy and Paste the data from website . *Arranging data in Excel . *Can solve Captcha related work . Data Entry, Typing, other typing bases services for with copy paste and Capture related work is ranked 5 out of 5. Based on 8 user reviews.